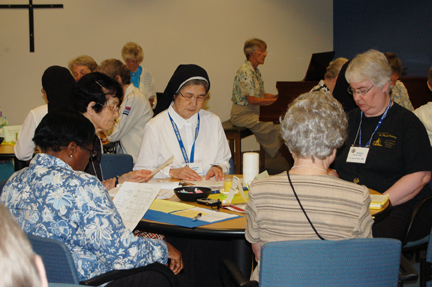 Welcome Sisters from the Federation of St. Benedict! 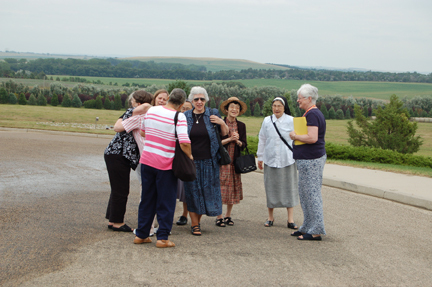 Benedictine Sisters from Across the Globe were welcomed to Annunciation Monastery on July 17 to begin a week of collaboration and visioning for the future. Wishing all of the sisters a blessed and enjoyable week! 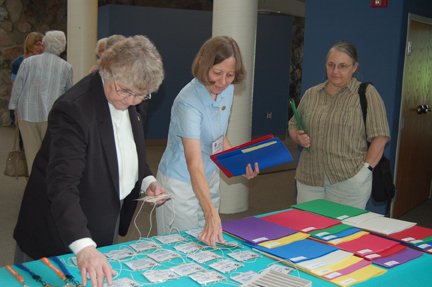 Sister Denise Ressler (Annunciation Monastery) and Sister Susan Hutchens, president of the Federation of St. Benedict help register Sister Edith Bogue, St. Scholastica Monastery, Duluth, MN) for the Meeting of the Federation of St. Benedict. 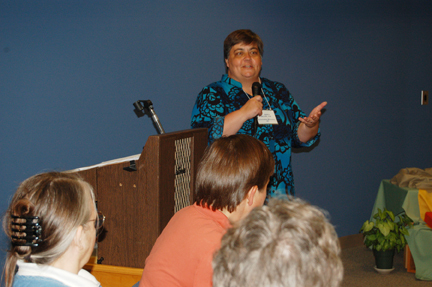 Sister Susan Hutchens, president of the Federation of St. Benedict, convenes the meeting on July 17, 2012. 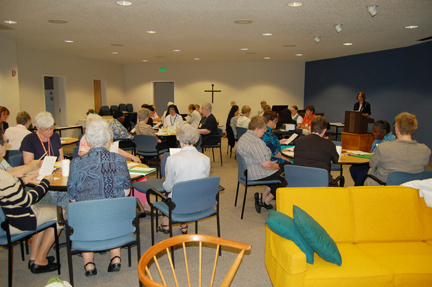 Prioress of Annunciation Monastery, Sister Nancy Miller, offers a warm welcome to the sisters of the Federation of St. Benedict. *PLEASE NOTE: Comprehensive photos from the meeting of the Federation of St. Benedict can be found on Annunciation Monastery's facebook page! Please "Like" Annunciation Monastery and visit often!